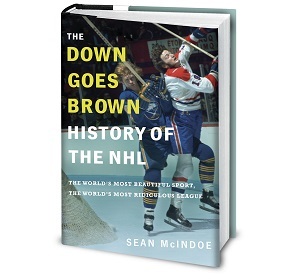 Down Goes Brown: Coaches on the cold seat: Who are the NHL's unfireable five? Coaches on the cold seat: Who are the NHL's unfireable five? Hearing about the hot seat is a fact of life for NHL coaches. From pretty much the moment you’re hired, somebody somewhere is already trying to figure out how close you are to getting fired. We already got a head start on this season’s hot-seat watch over the weekend, based on what the oddsmakers were forecasting. It always feels a little bit awkward to dig into those kinds of discussions. Sure, hiring and firing is a part of the game, but you’re still dealing with people’s livelihoods. Speculating over who might be next to lose their job isn’t anyone’s idea of a good time. So today, let’s stay positive by coming at the question from the other side: Who are the five NHL coaches who come into the season with the coldest seat? In other words, who are the five guys who are the least likely to get fired this year? It’s a tougher task than you might think, especially since we’re going to tack on one important caveat that none of the people who are already complaining in the comment section will bother to read: Anyone who was hired in the 2017 off-season doesn’t count. After all, that would be too easy. Aside from the occasional Barry Melrose or John Maclean situation, virtually nobody gets fired during their very first season with a team. So the seven guys who were hired over the summer are off the board. That still leaves 24 coaches with at least a little bit of tenure. Surely we can find five of them that are stone-cold locks to keep their jobs until next season, right? I think we can. And if not, at least it should be fun for all of you to send me the link to this post in a few months when one of these guys gets a pink slip. Either way, here we go. Why he’s completely safe: Babcock is one of the most respected coaches in the league, and he worked a near-miracle by taking the Maple Leafs from a dead-last laughingstock into a playoff team in one season. This year, he’s got the team playing well enough to look like an early contender for the Atlantic Division title. But as impressive as all that may be, it’s not why Babcock is one of the easiest cold-seat picks. That has more to do with his contract, which makes him the highest-paid coach in hockey and runs until just after the Sun explodes. Granted, the Maple Leafs have all the money, and Babcock wouldn’t be the first Leafs coach to walk the plank with time left on his deal. But Brendan Shanahan didn’t sign Babcock to this sort of deal because he was thinking of firing him three years in. Even if the Leafs wobble off the playoff path, Babcock’s not going anywhere, at least not any time soon. Well, unless…: I mean, this is a Lou Lamoriello team, so we can’t completely rule out a day when Babcock shows up at practice with sideburns and gets fired just on principle. But other than that, or some sort of major off-ice scandal, Babcock is as safe as they come, even in a market where weird stuff seems to happen to coaches.